Well the weather has definitely made a turn and mowing grass and enjoying sunshine is a priority! Leigh and I decided it would be a great time to make a few healthy changes, so we embarked on a 30 day challenge of eating clean. We have always been pretty good at making healthy choices, but sometimes with the holidays and the cold weather over the winter we can turn to unhealthy habits. We have always found the more prepared you are, the more you set yourself up for success. I would say Leigh and I are lucky because we actually enjoy eating clean. As children we always had access to a huge garden and fresh meat. So going back to that lifestyle was very refreshing for us. 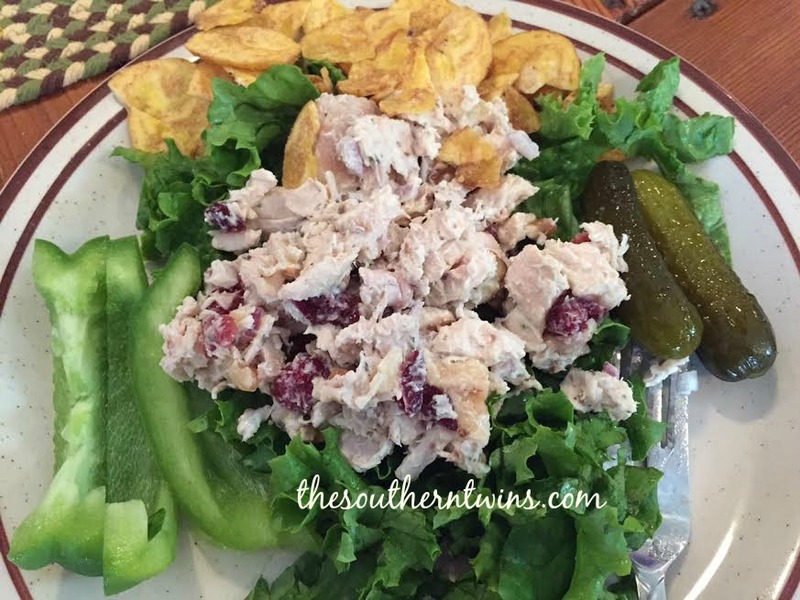 I made this recipe for Chicken Salad last night and it is super easy and super quick. You can keep this in the fridge and it is perfect for lunch. I chose to use a rotisserie chicken because that saves time. Mix all together and chill in fridge overnight. I served mine over a bed of lettuce, with some plantain chips which we LOVE!! This entry was posted in Uncategorized and tagged easy recipe, eat clean, fitness, healthy, healthy snacks, paleo, primal, recipe, summer. Bookmark the permalink.